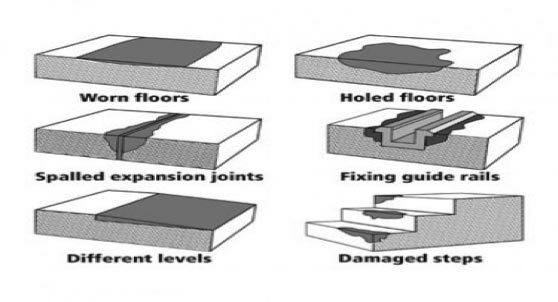 In today’s harsh industrial environments, concrete floors and other concrete structures endure constant abuse. 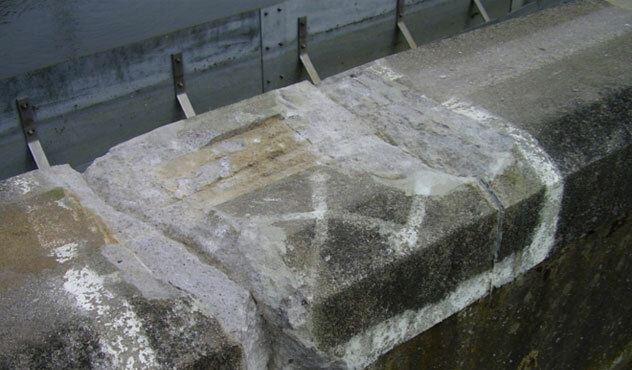 Nordbak concrete repair products offers a variety of mix and application temperatures for use in any environment. These two part system are non-shrinking, 100% solids and develop compressive strengths up to three to four times higher than concrete. They bond to concrete and appropriate for vertical, horizontal and overheat surfaces. These products is also chemical and temperature resistance. Polymer Service not only repairs damaged concrete, it is formulated to provide chemical and abrasion resistance. Applying a topcoat system, will enhance that protection by providing an added layer against some of the most aggressive chemicals used in industry today. Call us to find out which repair system is right for your application needs. Bus floor new surface (long lasting). 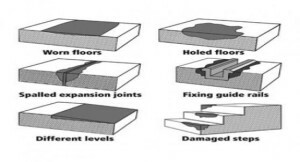 Antislip floor coating (long lasting). Antislip surface for steps (long lasting). Tank floor coating for safe movement. Chemical resistance and safe movement coating. Heavely damaged tank drive track prepared for application. 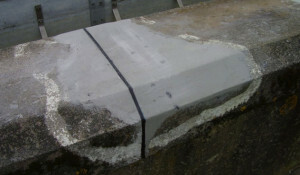 Repaired with concrete repair system and now its stronger than original concrete.